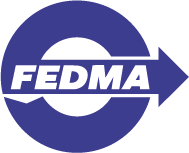 FEDMA is a European umbrella organisation, thus, her members are national Direct Marketing Associations (DMAs) from different countries. FEDMA also has direct industry members, representing the all value chain of direct marketing. Last but not least FEDMA is defined by its Board. This Office team is at your disposal.